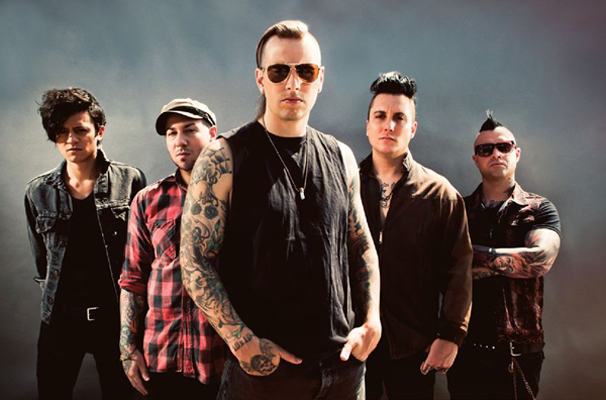 Avenged Sevenfold have been teasing a new album for awhile. The hype machine says they will be announcing an album title during a special live event on Oct. 27. Although, fans have used their Batman like detective skills to figure out it will be called “Voltaic Oceans” … as rumors flew after a quickly deleted tweet from WWE wrestling star and A7x groupie Chris Jericho, who first leaked the news of a new record arriving in December. 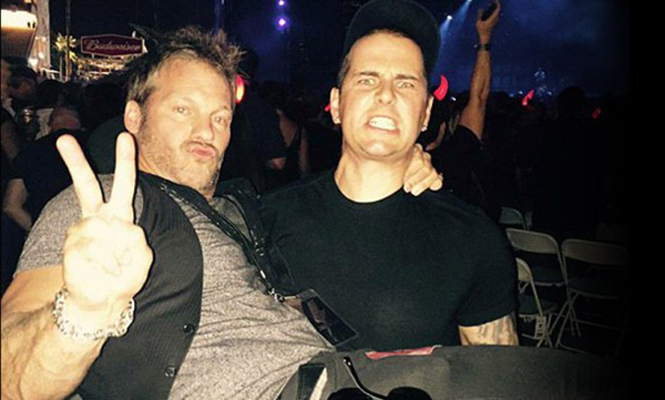 C. Jericho (wrestler) and M Shadows (musician) wishing they hadn’t taken this picture. If you just cannot stand the anticipation, the band has released an epic 8:00+ long video for a song called, ‘The Stage’. Featuring tons of guitar leads and some trademark screamy/shouty vocals, the song is given a carnival treatment complete with morose puppet show. For more mindless Avenged Sevenfold weirdness… check out their “Deathbot” website here and interact with an AI programming that is far more creepy than intelligent. But you can ask it ridiculous things and giggle for a minute or two until that becomes boring and you are onto the next shiny internet object.